Can you believe we’re already halfway through the month? Incredibly, nearly 14,500 people have taken the pledge so far! If you found out about the challenge after October 1st, it’s not too late. (It’s never too late!) Please sign the pledge, and join us for the rest of the month (or for 30 days starting today). I’d like to give a huge thanks to all the guest authors so far, and to the ones still to come. Please be sure to visit their websites, show your appreciation in the comments, and friend them on Facebook and Twitter. I hope you’re all having a good time, learning a lot, feeling great, and — most importantly — enjoying lots of wonderful, unprocessed food! The ongoing conversation in our Facebook Group has been uplifting and incredibly supportive – so if you haven’t joined the group yet, click on over and hit the “Join Group” link. (It’s free.) I also want everyone to check in here today. How’s it going for you? Please leave a comment below and share something — maybe it’s a cool kitchen trick that you’ve learned, or a new experience you had, or a particular challenge you faced… or even a new favorite recipe. When we share our stories, we all grow stronger. So leave a comment below, and let us know how it’s going! Yesterday we had our second Google Plus Hangout. 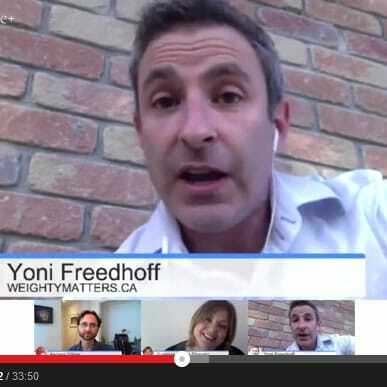 Suzanne and I were joined by a very special guest, Dr. Yoni Freedhoff. He’s a family doctor, an Assistant Professor at the University of Ottawa, and the founder of Ottawa’s Bariatric Medical Institute, a multi-disciplinary, ethical, evidence-based nutrition and weight management center. Yoni writes Weighty Matters, an always-spot-on daily blog about weight loss and management, health, food politics, and everything in between. Yesterday, he generously took time out of his day off to chat with us about all things unprocessed, sharing quite a few pearls of wisdom. If you missed the live broadcast yesterday, take a few minutes today to watch the re-play. Enjoy! 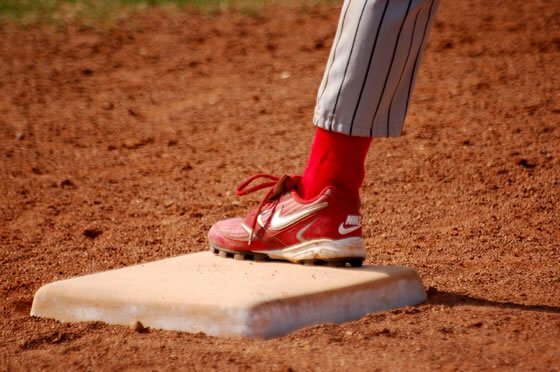 Photo: 1st Base © 2008 by Gary Hunt. Used under the Creative Commons License. So far, so good. I’ve been eating oatmeal sweetened with maple syrup and apples or pears every morning, which I am very proud of. I cut out my crackers and cheese snacks and have been snacking on nuts, chocolate and fruit instead. The hardest part was convincing my husband (who does the grocery shopping) to read labels and only purchase items that support Unprocessed October. It’s going well so far! This is my 2nd year doing this. It’s been great to “tighten” up my cleaning. I have more energy. I have been on the facebook page and it’s filled with such supportive people. no drama!!! I’ve lost 4 pounds, without trying. so happy! I’d like to do another challenge after the holidays – hint hint. thank you for pulling this together! I have to say that my favorite thing about the challenge this year is the addition of the Facebook group. In past years, I’ve had to fly solo during October Unprocessed and having a group of people who are so supportive and offer so many great suggestions is a huge help. My favorite suggestion so far has been the chickpea pancakes – top that with mashed avocado and homemade pico and it is a perfect meal; mix a spoonful of freshly pureed pumpkin into the batter and it is even better. Looking forward to the next couple weeks! So far so good. What I’m proudest of is getting my 2 kids (ages 2 and 5) to try new things. And they are enjoying it. We’ve had a couple of days where we’ve fallen off the wagon but got right back on the following meal/snack. We have made our own bread, cookies, ate lots of fresh fruit and veggies–and no one really seems to be missing the processed food very much. I believe this is something we will keep doing and I’m looking forward to making and unprocessed thanksgiving dinner next month. This is my first year and I have already learned a lot. I have found that I am reading all labels now and bypassing many products that I thought were not processed but are. I am not 100% unprocessed but better than I was in the past. I have tried some new recipes and food items, two which are now my favorite, Jicama and Quinoa. I am very happy that I took the pledge and thank you to everyone who have shared their wisdom!